If you are in the market for a new router or looking to upgrade to a wireless router with a few more features? 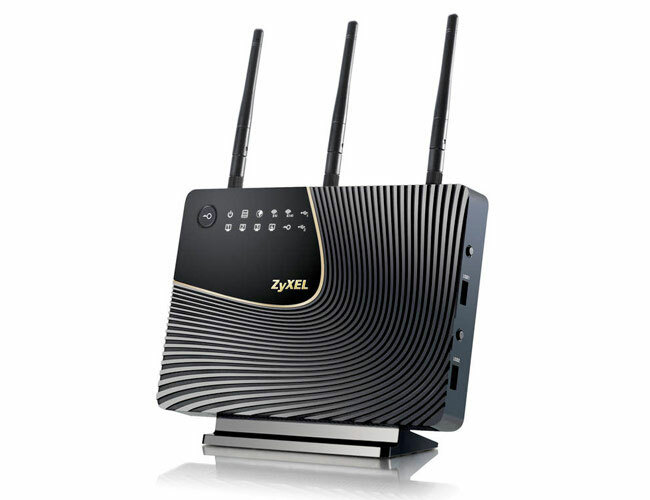 If you are ZyXEL has just unveiled their new NBG5715 dual-band wireless router which is now available to purchase for $250, and well worth a look. The slightly higher than average price brings with it transfer rates up to 450Mbps simultaneously on both 2.4 GHz and 5 GHz radio bands. Allowing you to separate out your network onto different bands making sure the bandwidth and speed are always where you need them the most. The new ZyXEL NBG5715 is also equipped with 2 x NetUSB ports enabling you to share printers or USB connected storage devices across your network with ease. Together with 4 x Gigabit Ethernet ports, 5 x VPN tunnels for home office users and a web interface , and SmartRange technology, which pinpoints wireless clients like laptops and tablets and transmits directly to them.